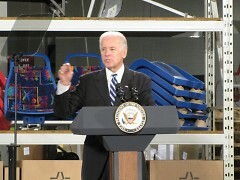 Vice President Joe Biden spoke in Grand Rapids on Wednesday of the resurgence of American manufacturing. 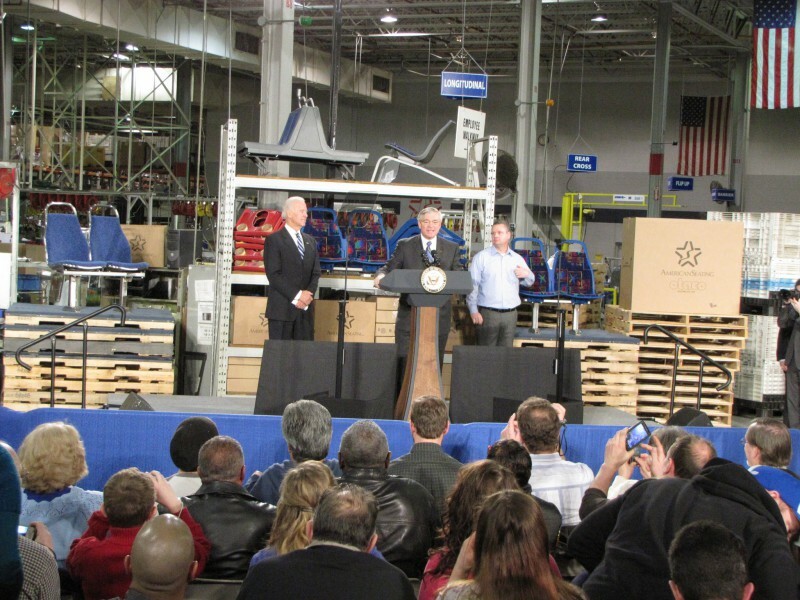 On Wednesday morning, January 31, Vice President Joe Biden visited Grand Rapids for the second time in less than six months. 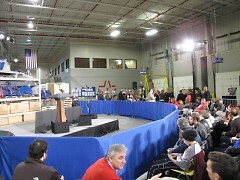 He gave a roughly 45-minute talk at the American Seating Company on the city's northwest side. 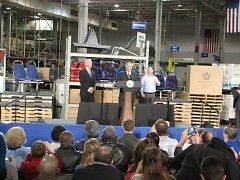 Biden praised the manufacturing company, which he said, "did not budge on outsourcing." Indeed, the company still has 125 union employees who work in the local plant, according to plant manager John Burns. Much of their current manufacturing goes to make seats being used for mass transit such as buses and trains. 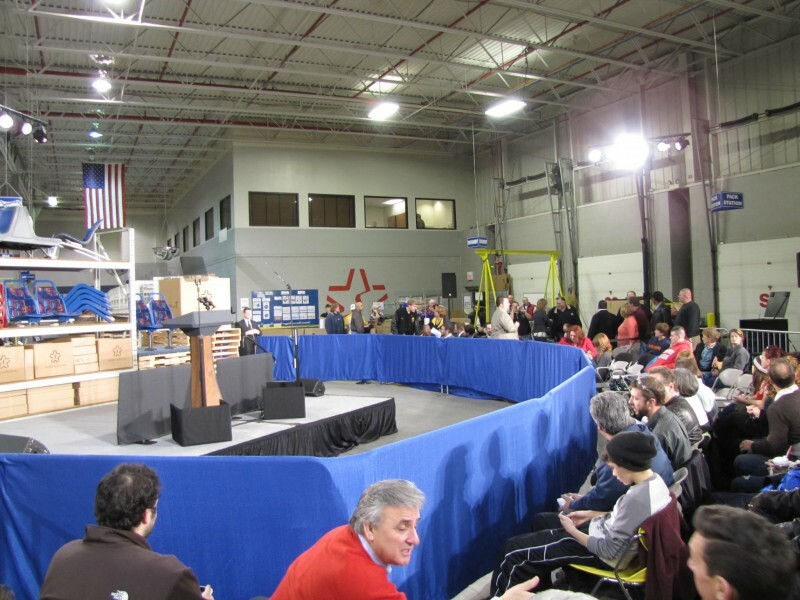 The bulk of Biden's speech was devoted to sharing positive statistics and touting the success of the Obama administration's work in bringing jobs back here. "Your kids will hear just as much about insourcing as our generation heard about outsourcing," Biden said. "By 2015 there will be no advantage [for companies] to be in China," he promised. Currently Biden said that the Obama administration is focused on "leveling the playing field." The Vice President said that they are launching initiatives to couple community colleges with manufacturing companies to provide training for the next generation of workers. "62% of jobs in the next ten years will need something beyond a high school education," Biden said. Video provided by Scott Warren. American Seating is a good role model for what corporations can do to make profits responsibly AND invest in their workforce and communities. I for one hope that congress gets behind the Obama Admin and works together as a team to make this a successful launching point for a new direction in our country.